Thanyapura Tennis courts 10 minutes away. Stay and Play! 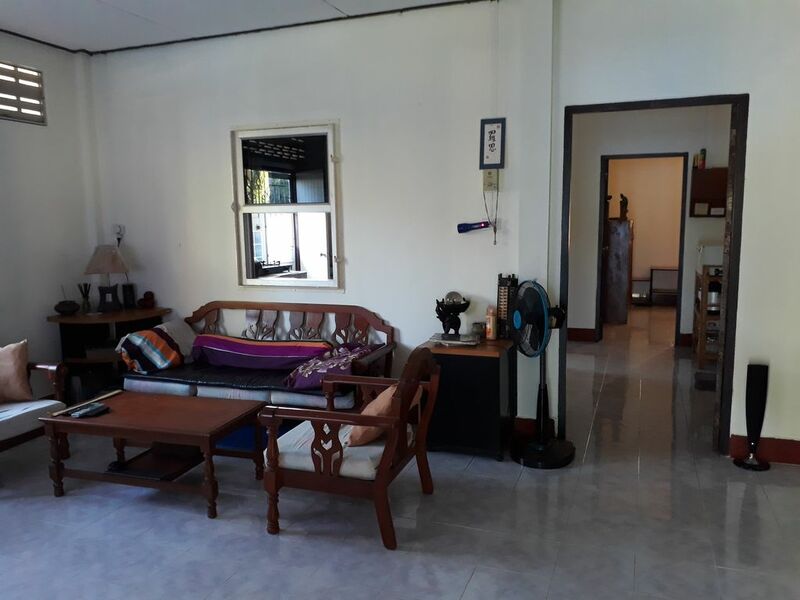 Private home, 2 bed rooms, 1.5 bathrooms, 5 minutes to Nai yang Beach,Nathon beach and airport. Full kitchen, Oven, blender, juicer, BBQ, Washing machine, canoe, tennis rackets, bocce ball, golf clubs, snorkel.Coconut and banana trees. Can sleep a lot of people with the use of the couch and sleeping mats. Bathrooms are functional but not beautiful. Local restaurants and 7/11 are within Walking distance. Chill guy easy going. Single, never been married, No Kids, No Bills, No debt, no problems! Trapeze Instructor, Tennis Player wanna be! This location is the best in Phuket. I wanted to go to the party not live in it. This place is centrally located to everything you could possibly want and Patong is only 30 Minutes away. The house is big for Thai standards, nothing luxurious about it. Designed for out door living. Quiet in a great location. Why stay inside when you are in paradise? Makes no sense to me. Thanyapura Resort isa10 minutes away. A perfect place to stay while you play there.